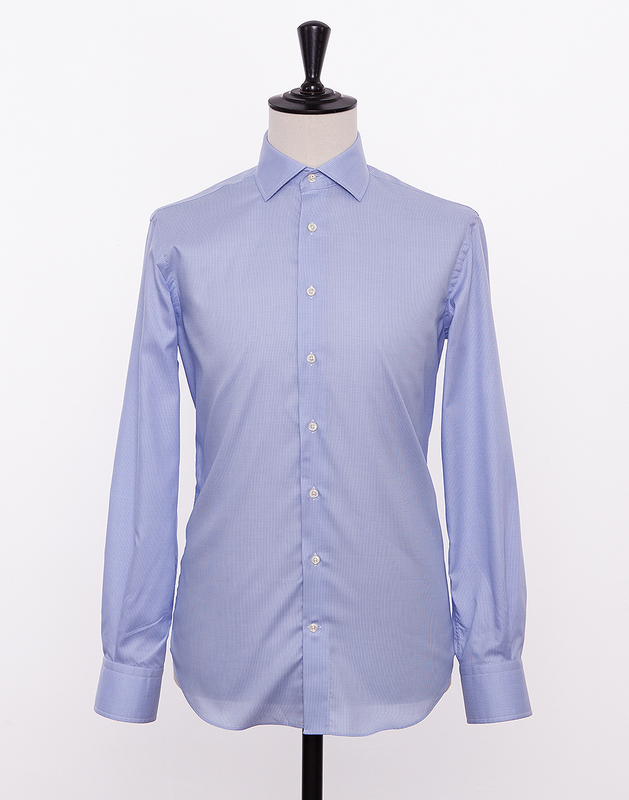 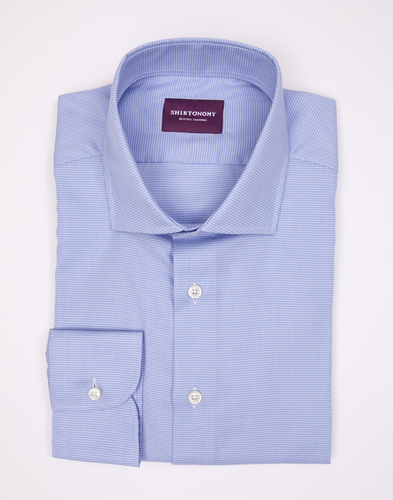 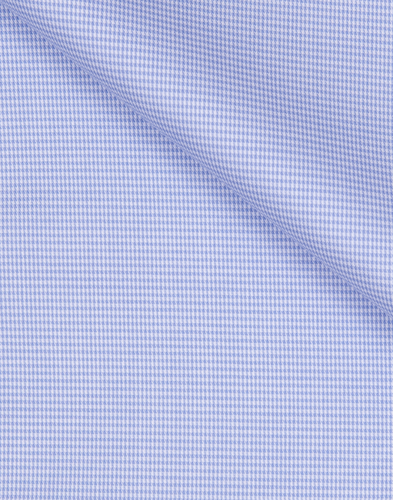 Sky blue twill made of 100% Egyptian cotton. The fabric is very soft and wrinkle resistant, which allows its crisp character to be preseverd longer. 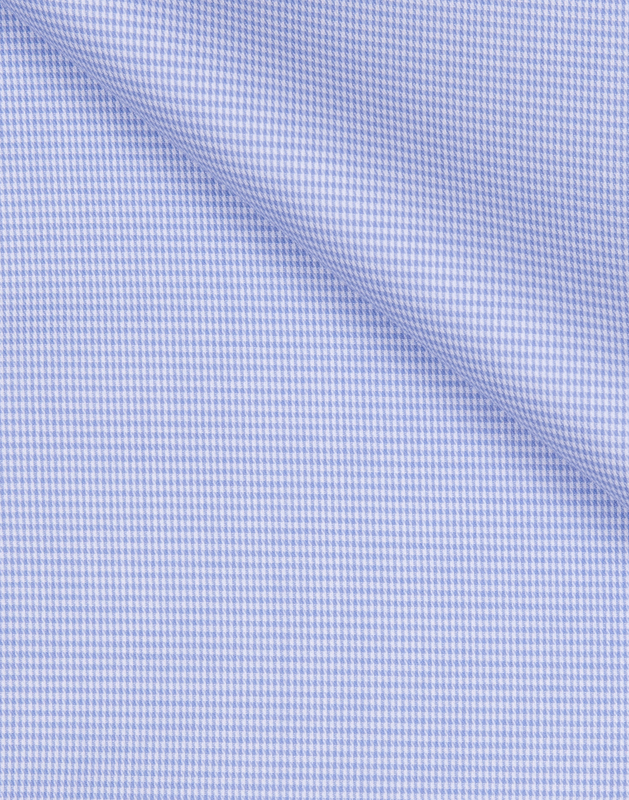 Its fine hounds tooth pattern weave gives the perception of a single color, while also giving the fabric a living texture. Your choice of collar and cuffs should be determined by the formality of the look you desire. 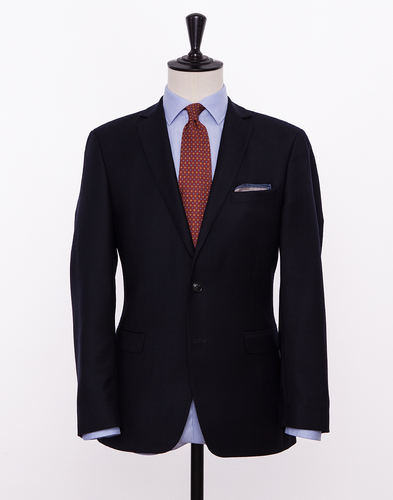 The fabric is made in Italy.